Mirrors, made from copper substrates, will withstand extremely high laser powers and industrial environments, providing diffraction limited focusing when properly mounted and aligned. 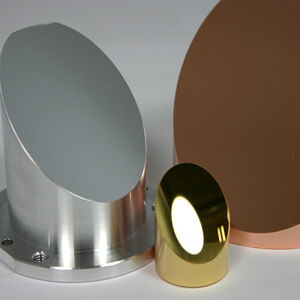 Copper mirrors are available with a higher reflectivity and durable molybdenum overcoating. This allows for the mirror’s easy cleaning. 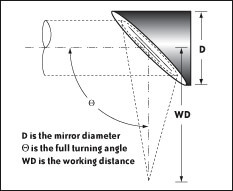 Parabolic mirrors are designed for reflecting and focusing the laser beam through 90 degrees, or any other convenient angle. 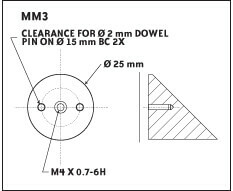 Custom designed features, such as water cooling and non-standard mounting configurations, are available upon request. 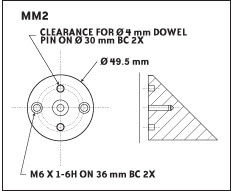 To guarantee performance specification, all mounting surfaces must be properly conditioned, screw torques cannot exceed II-VI recommendations, and the laser source must be aligned to the parabolic axis.